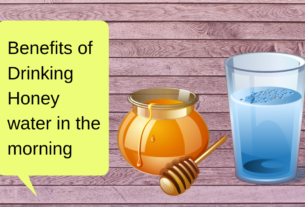 Home > Home Remedies > Ginger Tea Benefits: Why Should You Drink It Daily? 21st January 2019 22nd January 2019 beautifulyou176Leave a Comment on Ginger Tea Benefits: Why Should You Drink It Daily? As far as ginger is concerned, it has so many health benefits. Ginger roots has a compound named Gingerol, it is a powerful anti-oxidant which has anti-inflammatory property too. Ginger is a natural pain reliever, regulates blood sugar, promotes heart health, lower the risk of diabetes, fights infection, and improve your cognitive function. We all use ginger in tea. All people, man and woman love to drink ginger tea. We love the taste of ginger tea but do we know the Ginger tea benefits? Most of us don’t, so read it here amazing green tea benefits for your health. It is an effective home remedy that works well against Nausea or vomiting. You can drink ginger tea to get rid of morning sickness. You have seen the people when they travel they vomit. You can give them a cup of ginger tea to avoid vomiting. Pregnant woman can also take ginger tea to avoid vomiting. As we know that ginger has anti-inflammatory properties and when you take ginger tea regularly, it works as a natural pain killer.it is very beneficial for those who do regular physical work. It is best to have a cup of ginger tea to relive muscles pain, joint pain or aches. Drinking ginger tea can be an effective solution for an upset stomach. It is best for digestion and motion sickness. It is very effective for blotting stomach after eating. 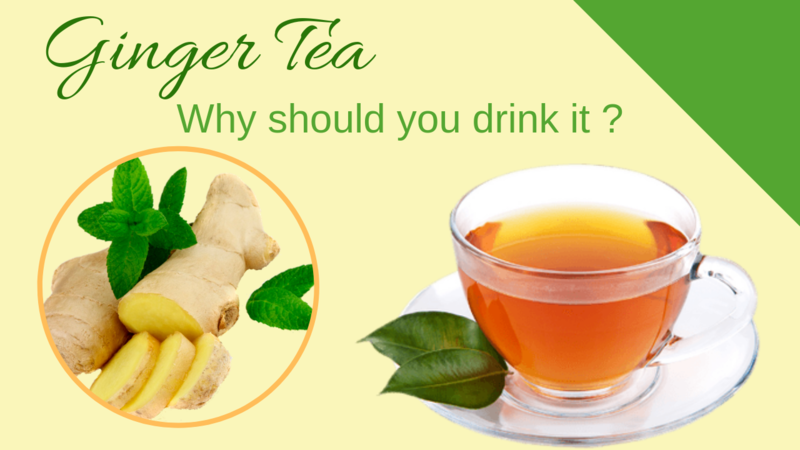 So you must include ginger tea in your daily routine to get rid of stomach related problems. Drinking ginger tea promotes lung health. Green tea in winter can cures congestion due to cold. As we know that ginger has an anti-inflammatory property so it cures shortness of breath and other respiratory problems too. It has been proved in so many researches that ginger promotes heart health. In Ayurveda it has been used to treat many cardiovascular dieses. It lowers the blood pressure by making your blood thin hence lowers the chances of heart attack and stroke. It has been shown that ginger lowers the bad cholesterol level. Ginger tea is a rich source of anti-oxidants so it is a powerful immunity booster. It fights against cold, cough and flu. So include ginger tea in your daily routine. Ginger tea is an effective remedy against stress. As it has gingrol so it cleans harmful chemicals from our body. It improves brain function and you feel relaxed. Daily drinking of ginger tea can improves mind and body function by increasing the blood flow to the brain. As we know that ginger tea improves digestion hence it expel out harmful chemicals from our body. It improves blood circulation hence it makes our skin radiant and glowing skin. Ginger has Vitamin C which is a powerful anti oxidant and gives us a skin free from wrinkles and spots. We all make ginger tea at home daily but it is not perfect to fetch the maximum benefits from it. So here are the easy and simple steps so that you can make a perfect ginger tea which is beneficial for your health. Hope you like this information. 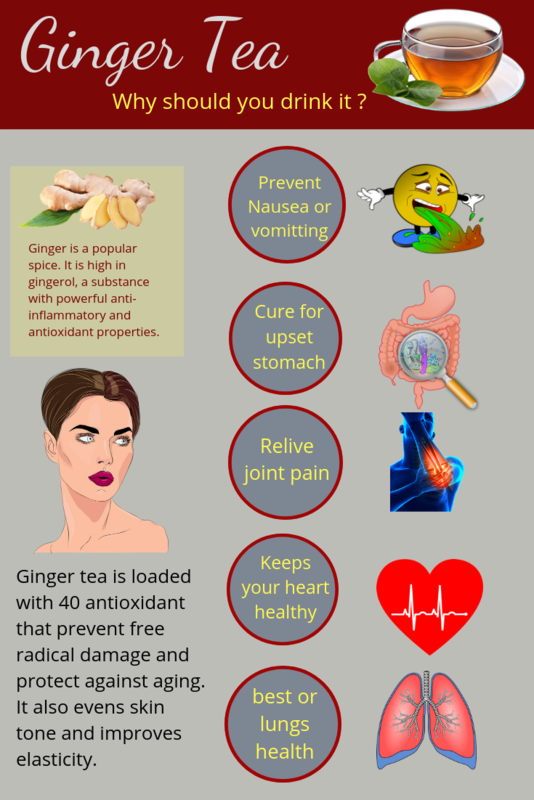 If you know more ginger tea benefits, please share them with me. You are most welcome. Check my YouTube channel Beautiful You Also for beauty and fitness tips.